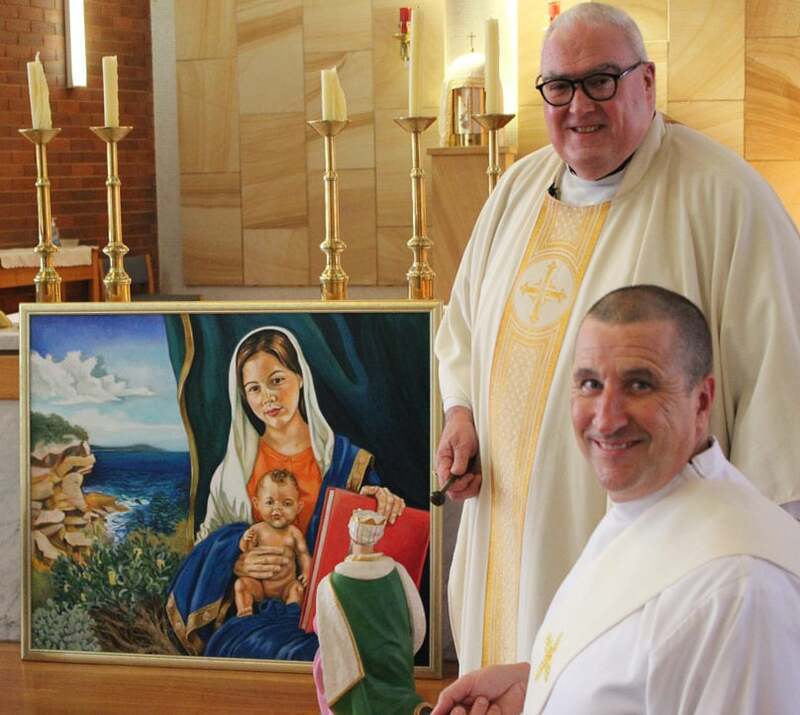 Fr Thomas Carroll recently unveiled and blessed a beautiful new painting—“The Madonna of Cronulla”—at St Aloysius’ Parish in Cronulla. Painted by parishioner, Byron Hurst, the artwork was presented to the parish as a gift from De La Salle Catholic College in Cronulla, where Mr Hurst is the art teacher. The painting is a modern interpretation of the style of the great Venetian painter of sacred works, Bellini. 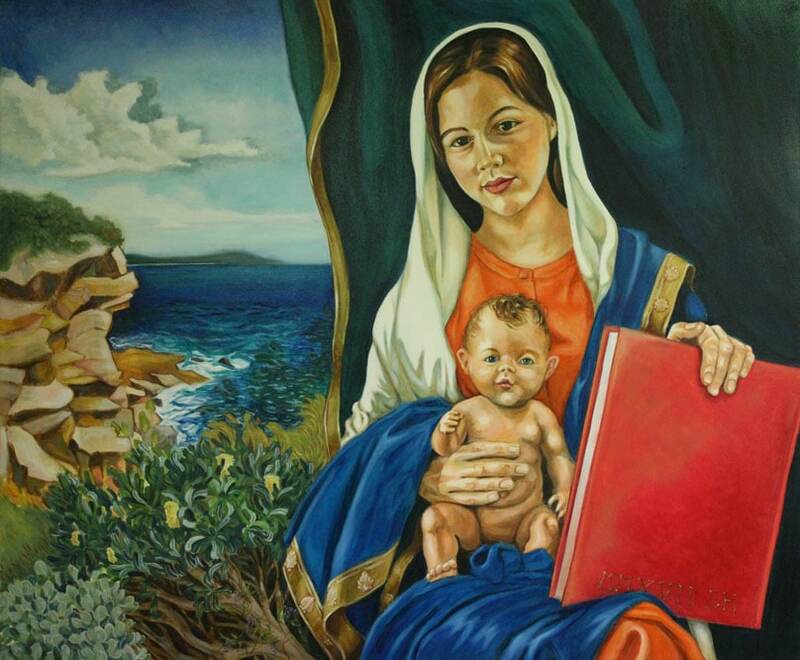 Our Lady is depicted with the Christ Child set against a seascape based on Cronulla’s coastline. The motif of the shell in her robes is a reference to Mary as the vessel of Christ—an image that figures prominently in the parish crest. The word, Cronulla, is derived from the local Tharawal language for pink sea shells and thus alludes to the spirituality of the parish’s traditional custodians. Mr Byron who has painted two previous religious works for the parish is also Chairman of the Hazelhurst Art Gallery in Gymea. He said he finds that painting religious art to be a meditative experience. “I find painting sacred works a very prayerful activity that brings me a sense of peace,” he said. Father Carroll is an active patron of the arts and has embellished St Aloysius with new mosaics and stained glass, as well as commissioning a new Nativity scene painted by De La Salle art students. He also encourages the involvement of the younger members of the parish in sacred art and music, and ran a competition in St Aloysius Primary School to design the latest mosaic.